I'll never forget my shock one day during a long drive time in our daily commuter Carmageddon, when I heard a Rush Limbaugh caller say that he supported tax cuts for millionaires because it meant that his boss might give him a raise someday. Some people just love being wage slaves, I guess. QUESTIONER: We obviously need cuts to the budget…but many of the recipients of those programs are Americans whose jobs have gone places where labor is cheap. So corporate profits remain high and in some cases higher than ever. Is it fair to ask those Americans to shoulder reductions in favor of businesses and corporations who have sent those jobs overseas? ROMNEY: [...] We need to make ourselves the most attractive place in the world for entrepreneurs and pioneers and businesses, just like it was when the Founders created this country. How do you do that? 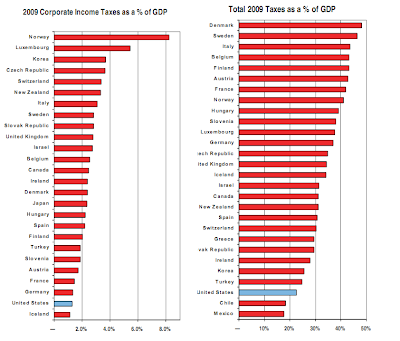 One,you make sure our employer tax rates aren’t the highest in the world. Right now they’re tied with Japan as the highest in the world. 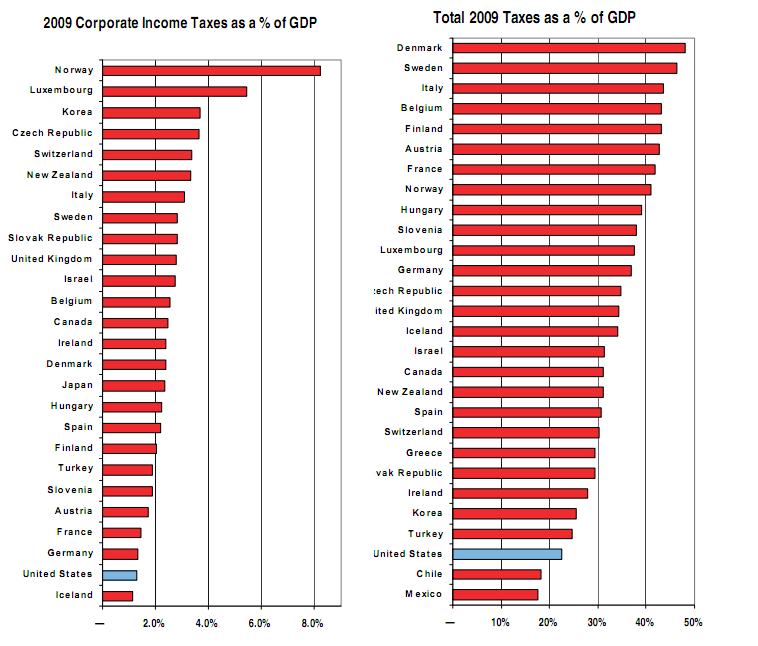 They’re about 10 points higher than the corporate tax rates in many of the countries in Europe. Unfortunately, there seems to be a Village consensus that rates must come down. But they are throwing in the fatuous notion that if we close all the loopholes in exchange for that the corporations won't notice that they are actually paying more in taxes. (Or, more likely, that nobody else will notice that they are paying much less.) And then everything will be perfect.